Magnets are eye-catching, durable and reasonably priced. 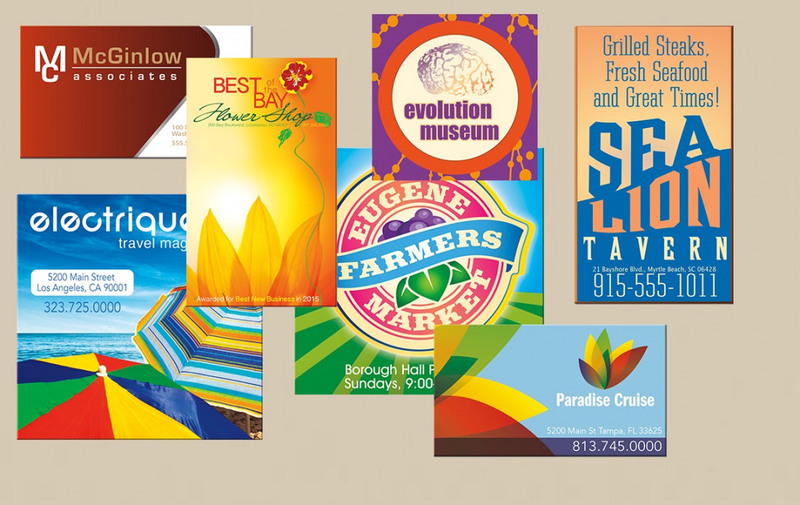 They can be printed in full color with virtually anything you want, such as your logo, image or promotional message. You can also create a magnetic version of your business card to distribute to clients and prospects. Magnets are a great marketing tool because nobody ever throws them away...they are kept around forever. These useful and colorful magnets adhere to refrigerators, file cabinets, steel desks, tools boxes, etc. to help keep your company and message in front of customers. Please note: All magnets are for Indoor Use only.